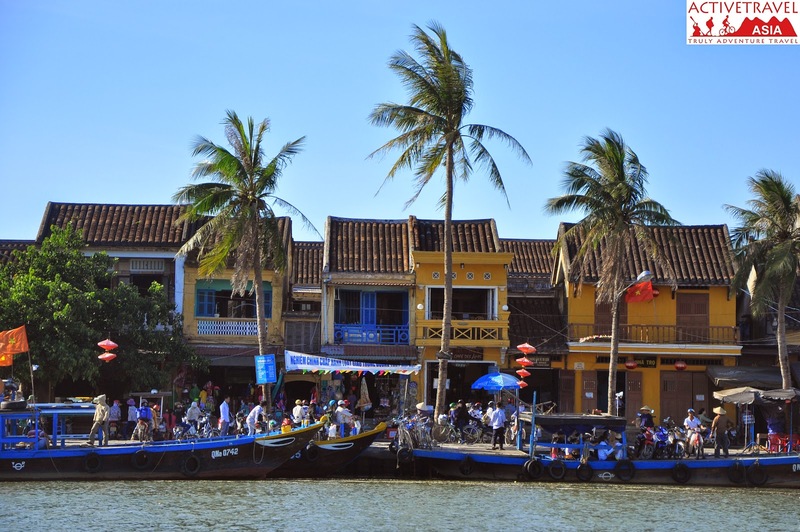 Arriving Hoi An of Vietnam – the biggest trade port formerly and a stunning quaint city now, you can take part in many interesting discovery activities like cycling around Hoi An, visiting ancient building, taking a Hoi An cooking class, enjoying street food and particularly, cruising on Thu Bon river. Hoi An’s architectural constructions are stunning. This is too obvious. Hoi An’s food is amazing. Do not need to argue about this. But Hoi An’s natural scenes and people in countryside are also nice. This is a great thing for discovery. Jumping into a boat and enjoy a Hoi An sunset cruise, this is one of the best ways to obtained a wonderful holiday in this ancient town. The cruise on Thu Bon river – the heart of Hoi An will offer you diverse experiences and emotions. 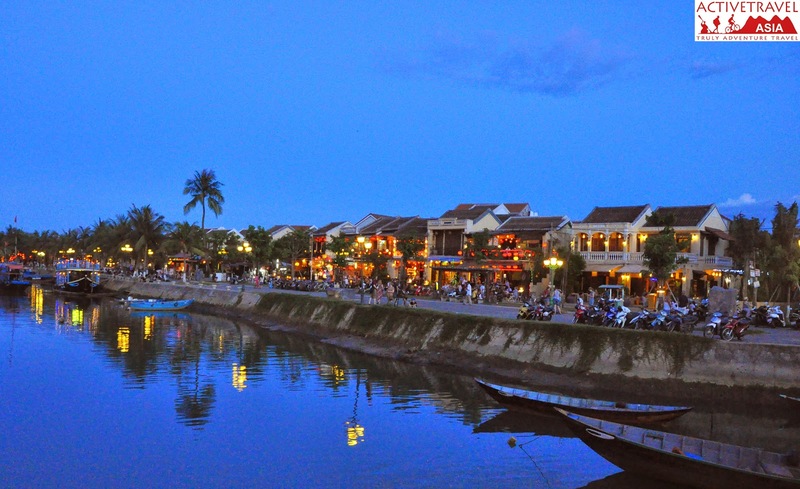 You can read in some document that Hoi An is situated in banks of Hoai river, and others say that Thu Bon river. The truth is that Hoai river is a tributary of Thu Bon river. On a traditional boat, the trip departs from a peaceful nice dock decorated by colorful lanterns. Actually lanterns are hung everywhere in Hoi An. The boat will lead you through ancient streets along two sides of the river. Green moss walls, grey tiles and other archaic images appearing in sunshine may make you imagine the life sights of a big city formerly. 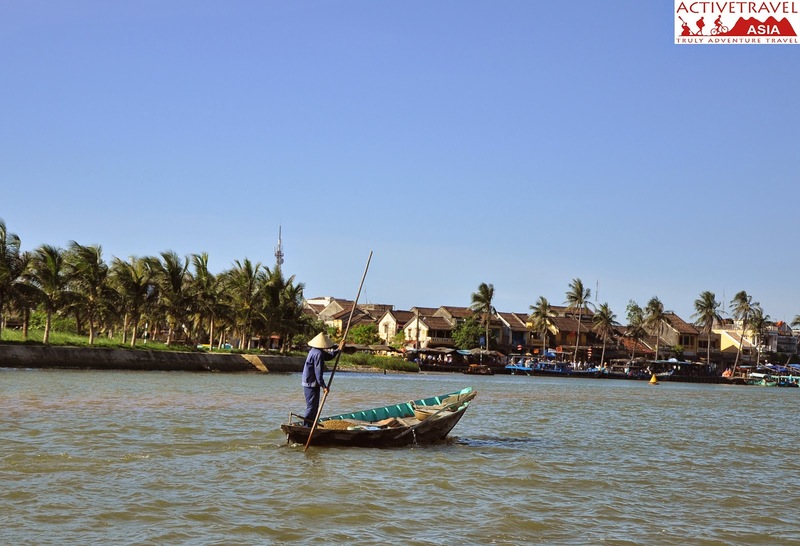 The boat gradually floats far away the central Hoi An and take travelers reach to outskirt life. Bring along a camera in hand, you can shoot nice photos as the sun going down behind mountains and all fishing activities on the river. 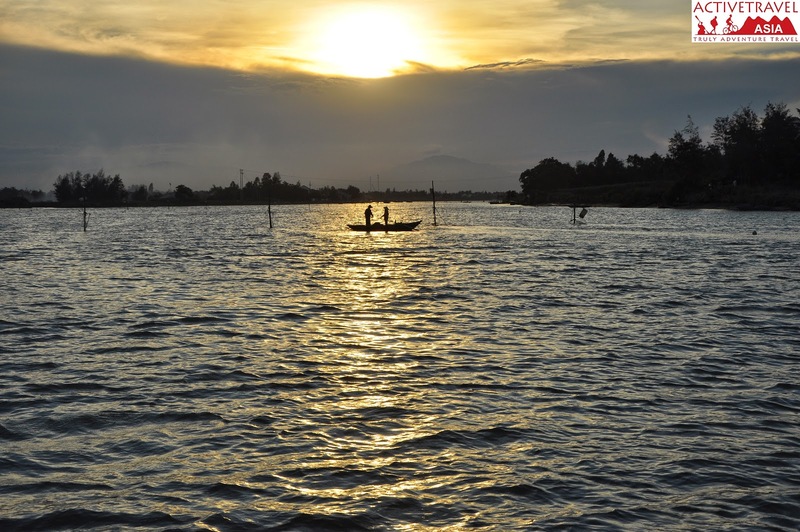 You will observe fisherman catching fish before sunset. You can see many original jobs like casting net, cutting fishing rope and crab hunting. You also probably encounter strange and unique Vietnamese bamboo basket boats along the waterways of water coconut palm paradise. The bustling part in a day of local fishermen is in the late afternoon. When the sun is setting slowly down to the mountain, fishermen also set off their fishing and expect to harvest fish abundantly. The cruise will let travelers have chances to be knowledgeable about daily activities of fishery in Hoi An. 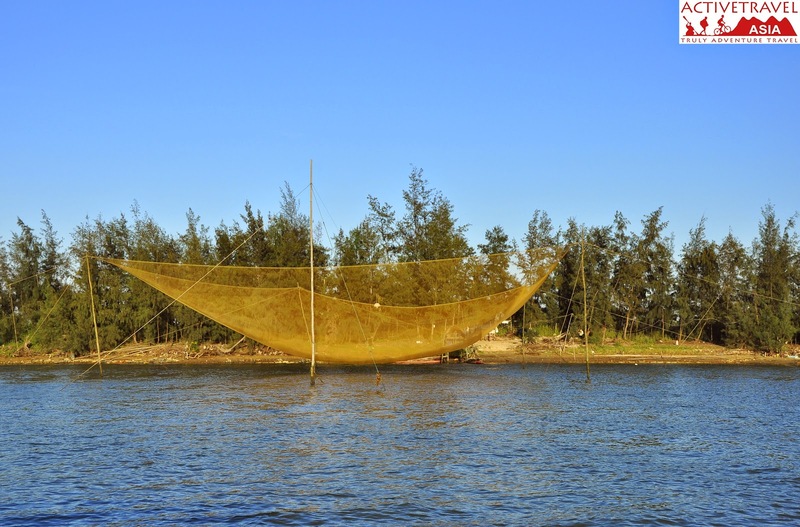 If you want to understand more about the local life, you can try working as a Hoi An fisherman. The sun is low in the sky and the wind is gentle. All views become effulgent. Romantic and peaceful minutes of the sunset pass slowly. Experiencing total serenity and listen to sounds of waves among splendid nature, these will be fantastic moments. 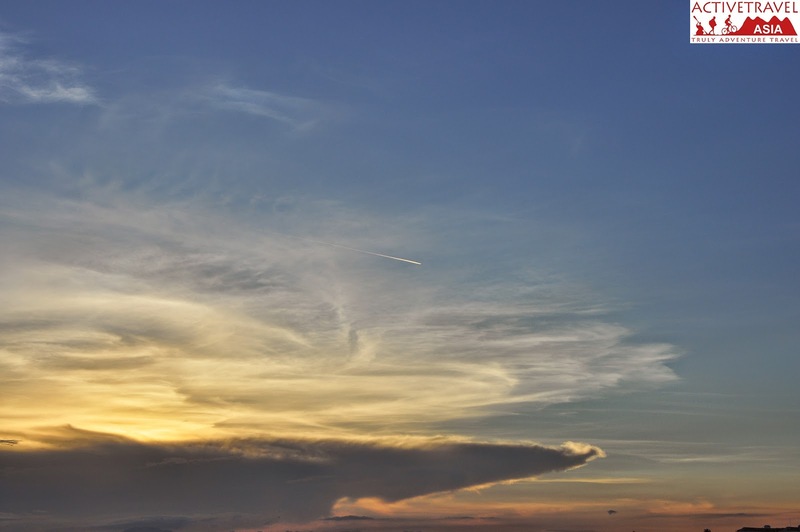 By this excellent calm cruise, you can immerse in nature, relax and admire glorious sunset. When the boat go back to central Hoi An, it is the time the night is coming. Every ancient house along the river lights lanterns at doors and balconies. Dwelling lines and river face become glistening and fanciful, creating absolutely romantic scenery. The trip is still great even in last moments.